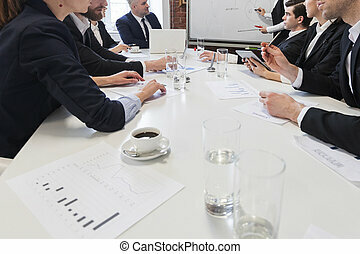 Business people meeting at office. 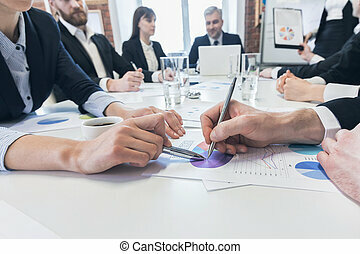 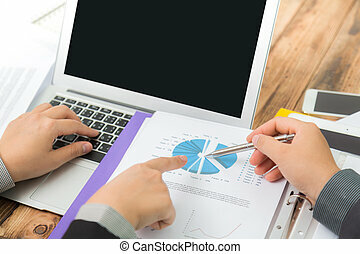 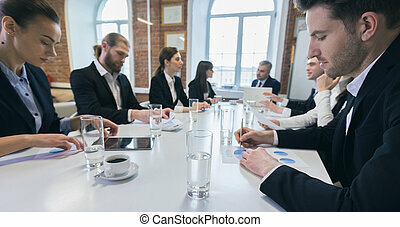 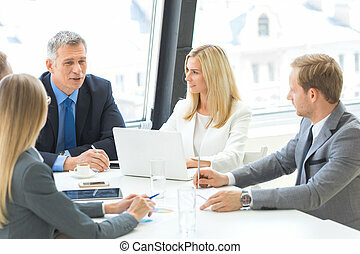 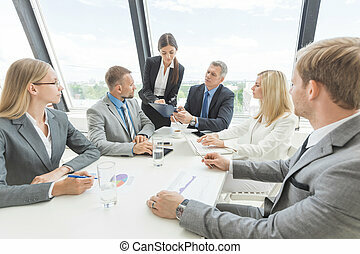 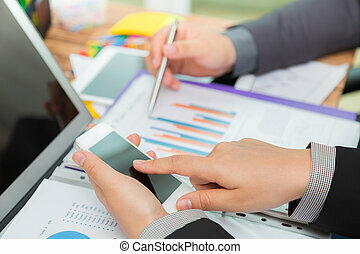 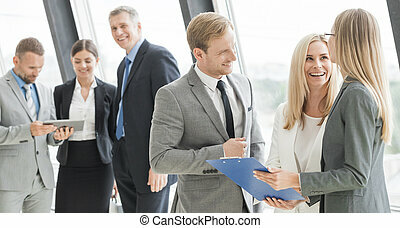 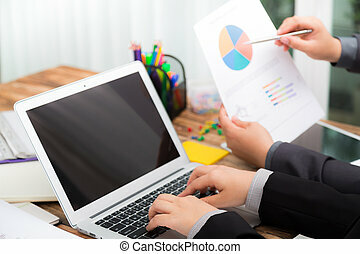 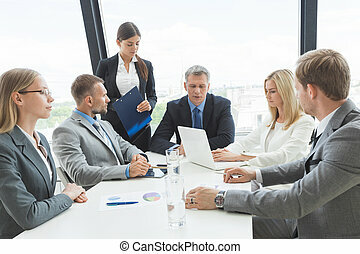 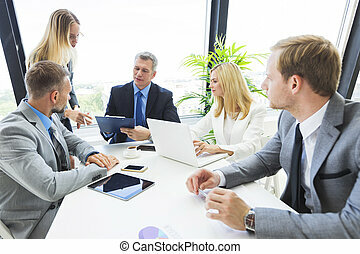 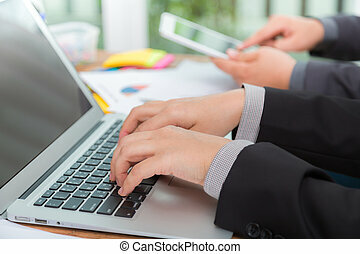 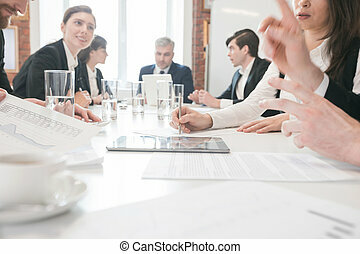 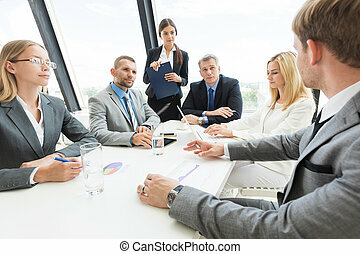 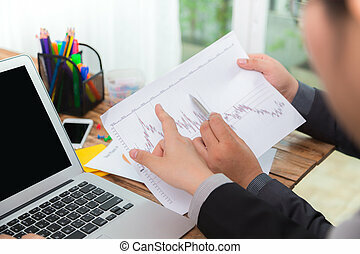 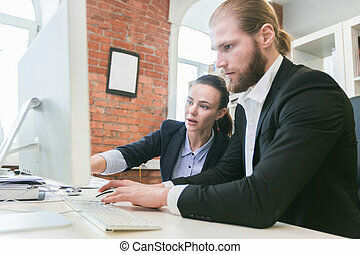 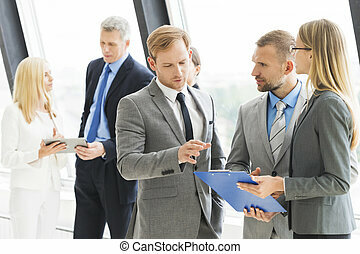 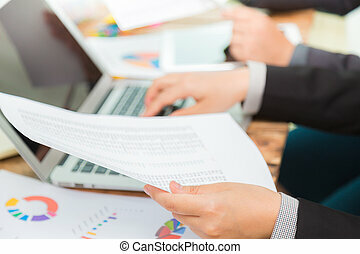 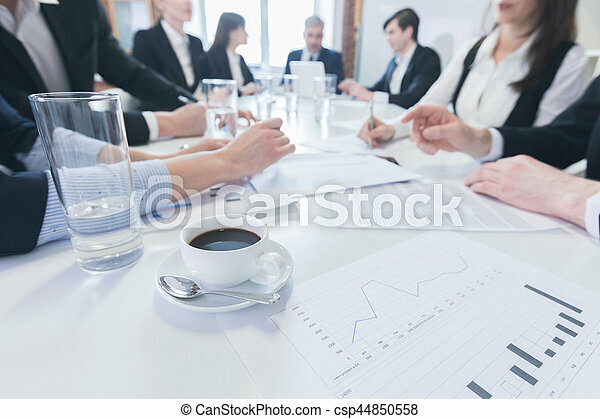 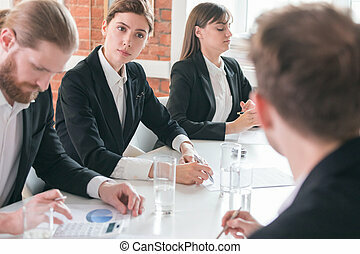 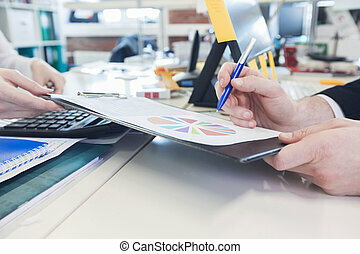 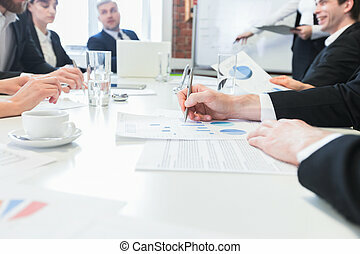 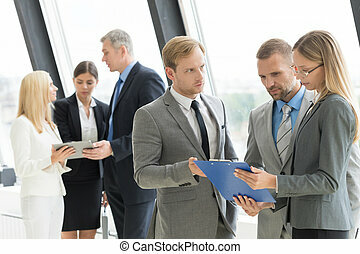 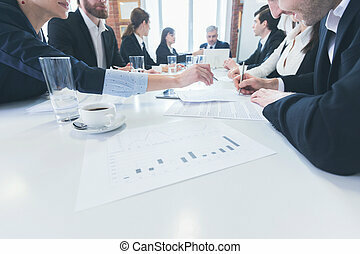 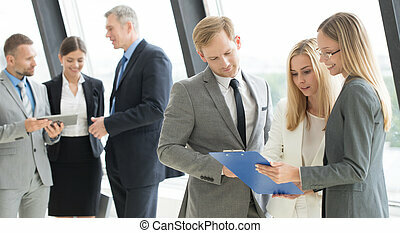 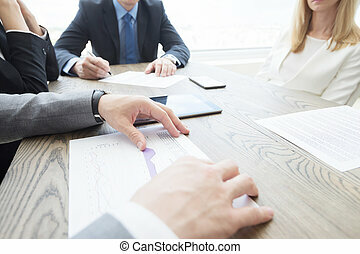 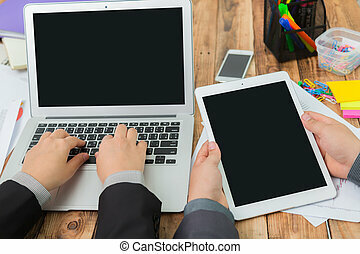 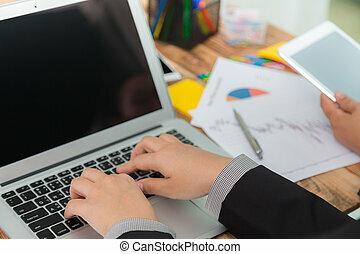 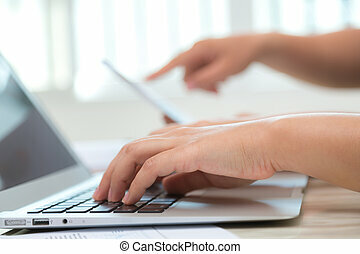 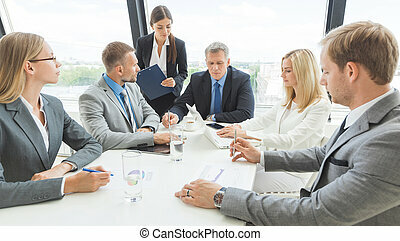 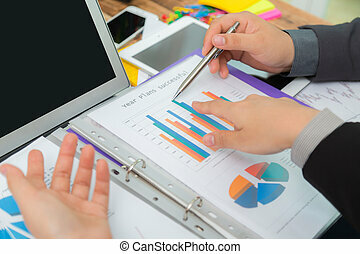 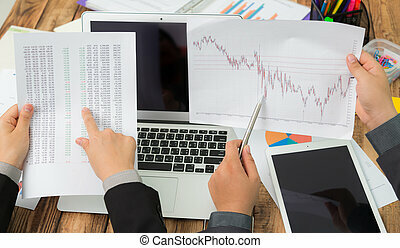 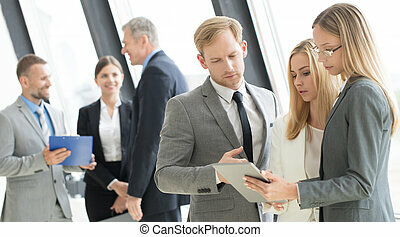 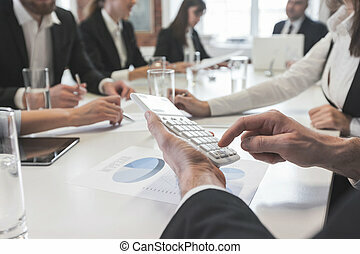 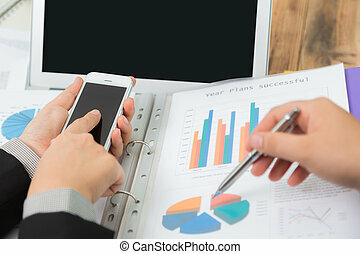 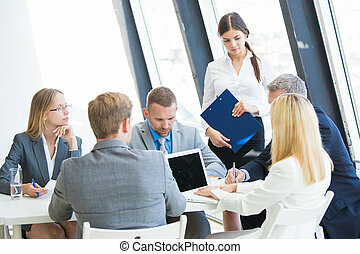 Group of business people in meeting room at office discuss financial reports. 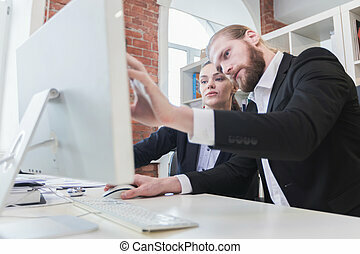 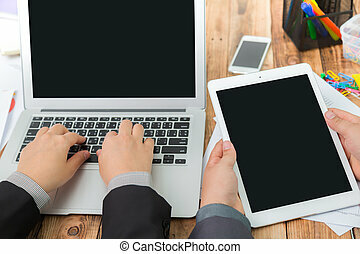 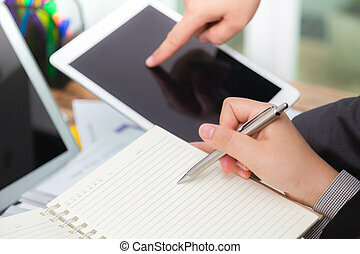 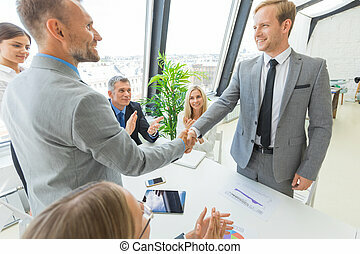 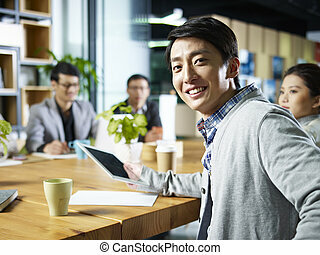 young confident asian businessman turning to look at camera during meeting in office.